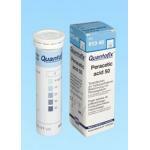 Peracetic acid is one of the most powerful oxidizers known and often used as a disinfectant. 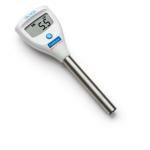 It is for example utilized in the food and beverage industry, in agriculture, as well as cosmetics, pharmaceuticals and healthcare. Often, disinfectants are mixed from a concentrate. Therefore, the potency level of the mixture varies depending on the amount of concentrate. 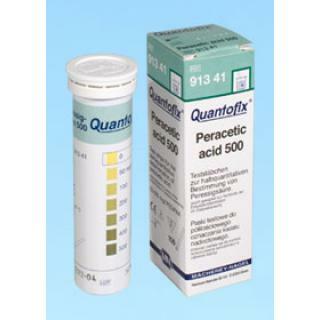 To quickly test and verify potency levels of peracetic acid disinfectant mixtures, Quantofix Peracetic acid test strips are the ideal tool. 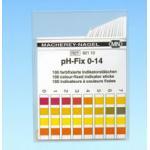 Using the test strips allows you to use disinfectants efficiently and ensure proper disinfection. 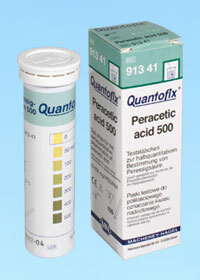 Quantofix Peracetic acid 500 test strips are optimized to check medium potency levels up to 500 mg/l PAA.